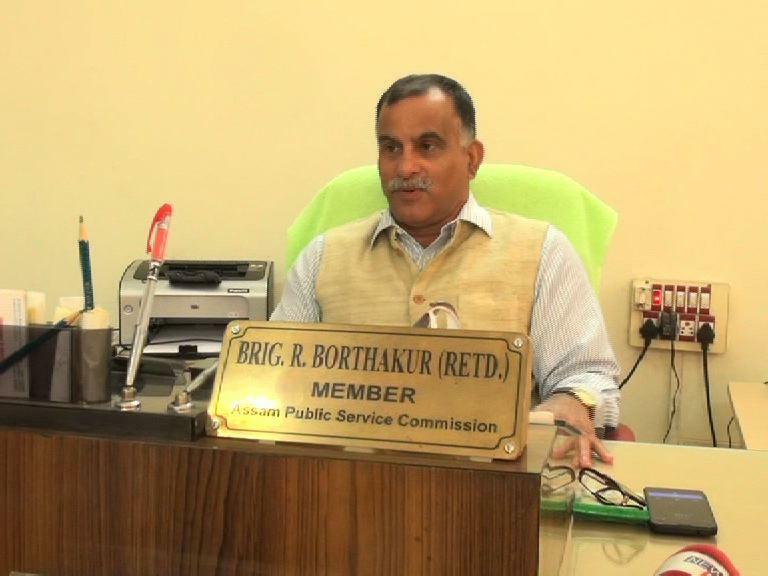 Assam Public Service Commission Chairman (Incharge) Brig (retd) Ranjit Borthakur today said the Commission would conduct some of the examinations and interviews which "we had to postpone because of reasons beyond our control". "Our immediate job at hand is to conduct some of the examinations and interviews which we had to postpone because of reasons beyond our control. Similarly, results of some examinations had to be postponed due to the present turmoil", Borhakur told a press meet. Borthakur, who was a member of the APSC, was appointed as the Chairman (Incharge) of the Commission yesterday by the state government following the arrest of his predecessor Rakesh Paul on November 4 last. "In many cases we will have to seek legal advice as well as seek opinion and advice from the state government. I have sought a meeting with the Chief Minister this evening and will take advice from him", he said. Explaining the exam procedure conducted by the APSC for government jobs, he said, for some posts written and oral marks are added, while in case of direct recruitment the candidates are chosen through interviews and then screening test if there are a lost of applicants. Stating the pending screening tests for various posts would be conducted soon, he said pending oral test for 786 medical and health officials will be conducted in the next 15 days as there is shortage of these professionals in the state. Immediately the APSC can also send recommendations for appointment of those who took exam for school teachers jobs for which the Commission will, however, seek the advice of the government, the Chairman said. "Our computers and servers have been seized by police (during the cash-for-job scam) investigations. So we are unable to issue admit cards, etc. We will take the Chief Secretary's advice on it and see if we can use a nearby government server for the purpose", he said. Following the arrest of APSC Chairman Rakesh Kumar Paul, two members Samedur Rahman and Basanta Kumar Doley, Assistant Controller of Examinations Pabitra Kaibarta and another official were arrested in connection with alleged corruption in the organisation.